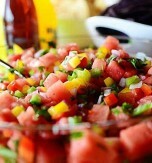 You can marinate both ripe and green watermelons, but do not use overripe ones. Wash watermelons and peel them. Remove the seeds. 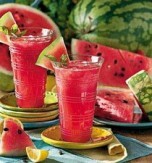 Cut the watermelons into medium pieces. 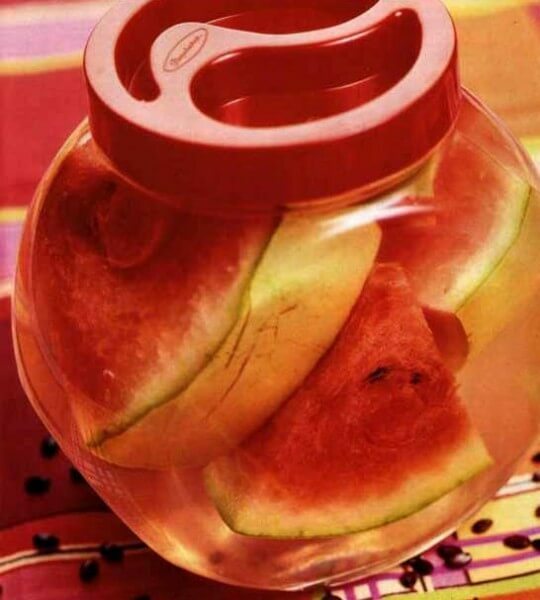 Arrange the pieces of watermelon in jars. Add cinnamon, bay leaves, chilli peppers, and grated horseradish root. Now let's cook the marinade. Combine salt, sugar, and water. Mix the mixture and bring it to boil. Then pour the marinade into the jars and sterilize them for 20 minutes. Seal the lids of the jars tightly.